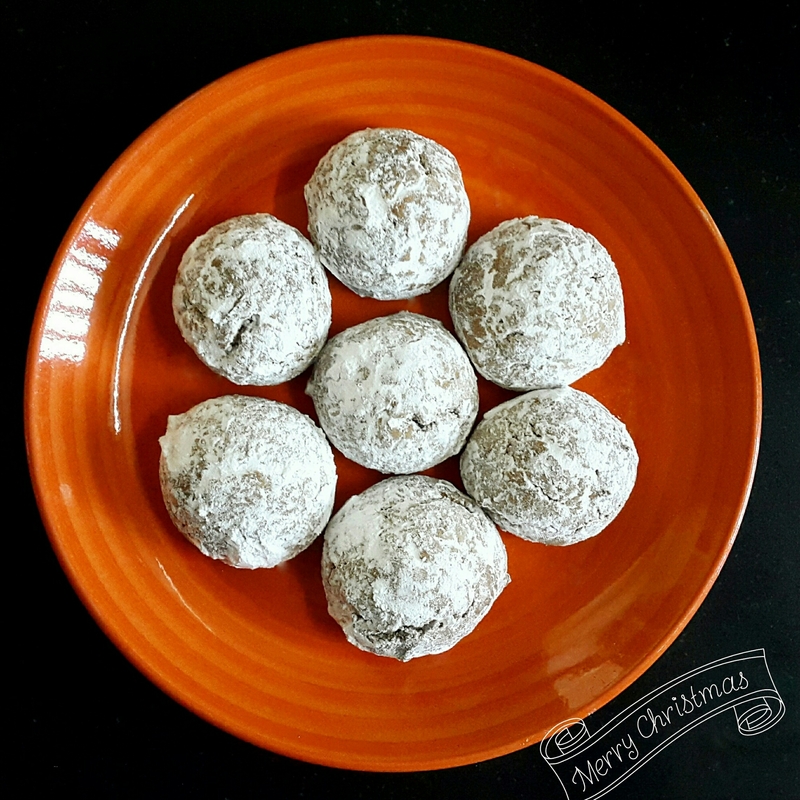 Pffernusus aka Pepper nuts cookies originated in Germany and are a part of traditional Christmas cookies. We all have baked or eaten our ever favorite Gingerbread Cookies and Sugar cookies. But I felt like experimenting a bit this year and creating things which we are unaware or just don’t bother baking. These cookies are super simple and super tasty. Its a must for all those who love spiced cookies. In a bowl sift flour. Add baking soda, ground cinnamon, ground pepper, ground cloves and nutmeg. Mix well with a spoon. In a large bowl with an electric mixer, cream butter and sugar together for 3 minutes. Add egg and vanilla and beat for 2 minutes. Add honey, mix until well combine. Add the flour mixture to the butter mixture. Mix with the electric mixer until everything is mixed well. Grease and line a baking sheet pan with parchment/butter paper. Take a tablespoon and scoop half tablespoon of the cookie batter and gently roll it in your hands and place it on the pan. Bake the cookies for 10 – 15 minutes at 180 C till brown and cracks appear. Let it cool. In a medium bowl, put the icing sugar and with a spoon take one cookie at a time and roll it. Coat the cookies with sugar, then eat on the spot or store in an airtight container up to 1 week.